Here you can find information regarding your South African Learner's Licence. We try to answer a multitude of your Learner's Test questions such as what requirements you need to meet in order to be eligable for a Learner's Licence, what format the K53 Test is in, and where your nearest Driving Licence Testing Centre might be. Although we try to keep this information up to date, it's always best to double-check with a local, licenced Driving Instructor: they will always know your local Driving Licence Testing Centre better than we can, and will be aware of many small and undocumented changes these centres make. For example, the centres sometimes change the cost of licencing fees without this being published on the government services website, so we would have no way of knowing this change happened! Simply select the article you’d like to read from the menu on the left hand side. If you have a question which isn’t here, you could Contact us, check the GetYourLearners community on Facebook, or check the South African Government Services Website. We will try our best to answer you, but at times we may not be able to. If you have specific questions about the nuances of the Rules of the Road or South Africa's Road Signs, it's best to consult a licenced instructor on the matter. If you would like information about Driving Licences or the Driver's Licence Test, you can go to our sister site GetYourDrivers.co.za. 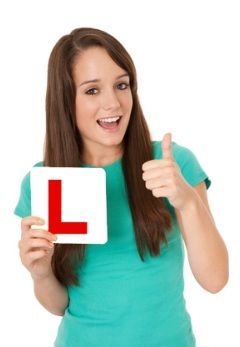 Here you can find driving resources, a directory of driving schools and instructors and lots of information and revision material for the driver's licence test.